Susan fondly remembers her first cappuccino. It was delivered to her table in Venice’s famous St. Mark’s Plaza by a tuxedo clad waiter and cost twenty-five cents. It was January 1975. She had no trouble finding a table. More recently on a visit to Granada, we made our way to Plaza Mirador de San Nicolás in Albaicín, the old Muslim quarter across from Alhambra. We were dismayed. It was just before sunset. Hundreds of people crowded the small hilltop plaza maneuvering to take selfies, buy beer or score a seat on the plaza wall. We were surprised, shocked and embarrassed by the crowds, the noise, and the constant parade of taxis wending their way up the narrow serpentine streets. According to Statista, in 1975, the year Susan visited Venice, there were 223 million worldwide tourist arrivals. By 2016 that number was 1.24 billion and of that number, 616.2 million tourists arrived Europe alone. The residents of Albaicín, cannot possibly appreciate what has become of their once charming quarter. We were embarrassed that we’d contributed our presence to the mindless, thoughtless degradation of someone’s neighborhood. It took some time to sink in, but by the time we were back home, we were saying to ourselves, we don’t need to do this. We don’t need to see the “great sights” written up in every travel book, pitched by every tour company, or highlighted in a glossy travel brochure. We won’t participate. But, but, but… one reason we chose to begin our retirement years in Spain was our desire to learn about the various cultures of Europe through travel. We want to travel, to learn, to experience. Do we have to give it up? Can We Be Learners Instead of Tourists? So, how can we travel to satisfy our curiosity and to discover how other people live without contributing to the massive screwing up of places? How can we travel gently in the world as it is today? We travel for a defined purpose and not a destination checklist. We will meet local residents, stay long enough in one place to understand the rhythm of life there, and learn about the history and local culture of an area through private or small group connections. We endeavor to experience locations, amenities, and cultures as respectful guests. We support local business in any purchases made. We avoid businesses and situations established primarily for the convenience of the tourism industry. We do not contribute to the massive impact of tourism during peak seasons. We recognize that some places and activities -- due to their popularity or outsized environmental and social impacts are now off the list. We use public transportation or hiking/biking to keep our impact small. We try to do some good along the way. Granada shouldn’t have surprised us. We had the same reaction in Skagway, Alaska when the cruise ship we were on was one of five or six, spewing diesel fumes into the atmosphere of the narrow valley. It’s just taken us this long to realize that we contribute to the problem whenever we travel as distracted tourists instead of conscientious guests. On our Start Here page we ask, “What can we do with the time that lies before us, open and unstructured?” One answer is, we will be doing more pretrip research and learning than we have in the past. We’ll probably take fewer but more carefully considered trips. If we succeed in making the local connections we’ve challenged ourselves to make, we’ll be spending more time cultivating and sustaining those friendships and acquaintances too. And we will be sharing our experiences, the great and the not so great, here on GentleCycle.net. Do I understand correctly that you are considering leaving Spain for another venue? Susan and I will be staying in Spain. In fact, we’re in the middle of renewing our resident’s visas. 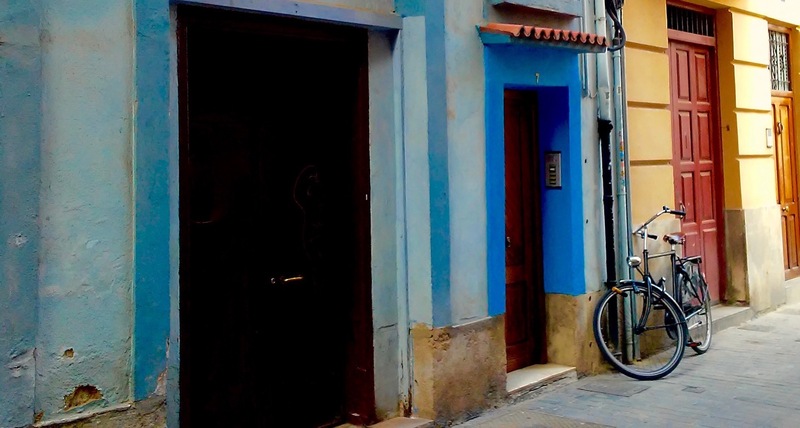 We wrote this post about traveling gently during our travels away from Valencia. We want to be sure we maintain the same values we live by here in Valencia as respectful guests, while we are out and about. Give Isis a hug from us.